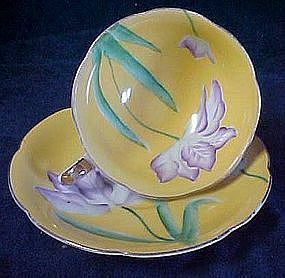 Vintage china teacup and matching saucer. Hand painted, yellow background with lavender crocus. Gold edge trim and handle trim. Fancy delicate curly-q handle. Made by Merit China, Japan. No chips or damages.